Although we have a studio of graphic designers here at Flexoshop, we understand that in some cases instructions will be sent for us to follow which require no design skills. We acknowledge this and describe it as ‘artwork services’. We specifically differentiate this service from design for a very good reason, cost. 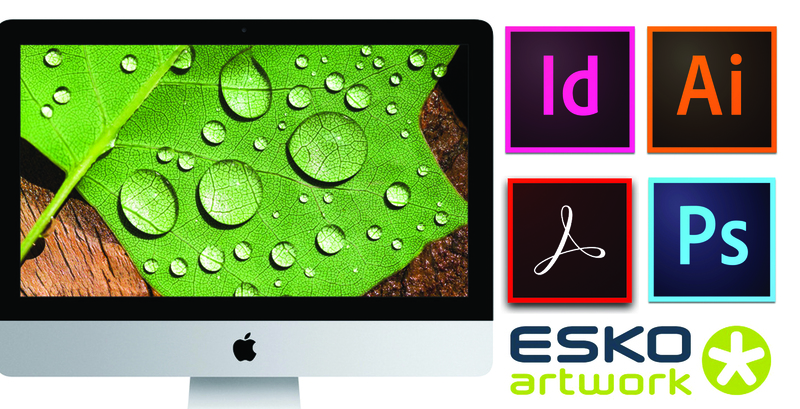 Why should you pay a graphic designer to follow simple instructions when one of our experienced mac art workers could be used at a lower cost to you? This service includes basic layout incorporating the placing of logos, graphics and text. Industry leaders have been using Flexoshop for years and in that time we have created powerful image design and implemented new corporate branding and global representation. Working with the latest technology gives us a crucial edge and, in turn, gives our clients the support and results they demand. The Flexoshop studio is occupied by some of the most experienced staff in the country, every one of our staff has been trained to the highest level and has been in the flexo and printing trade all their working lives. When you place an order with Flexoshop you deal with the mac operator directly and not an account handler, so you deal only with the person producing your job. We are fully aware of how important personal service is to our customers and we take great pride in being the standard for which other companies are judged.